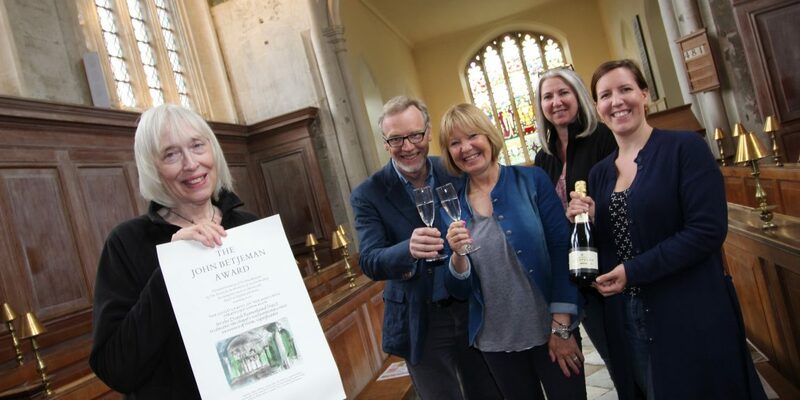 The Death Reawakened Project at Stratford-upon-Avon’s Guild Chapel has been named as the winner of the prestigious Society for the Protection of Ancient Building’s (SPAB) Sir John Betjeman Award for 2018. 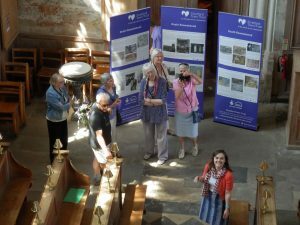 The annual John Betjeman Award honours the memory of church enthusiast and SPAB member Sir John Betjeman and is made for outstanding repairs to the fabric of places of worship in England and Wales completed in the last 18 months. The Guild Chapel was one of just 7 faith buildings from across the UK to make the awards shortlist. The Guild Chapel is a non-denominational chapel with 13th-century origins located in the heart of historic Stratford-upon-Avon. 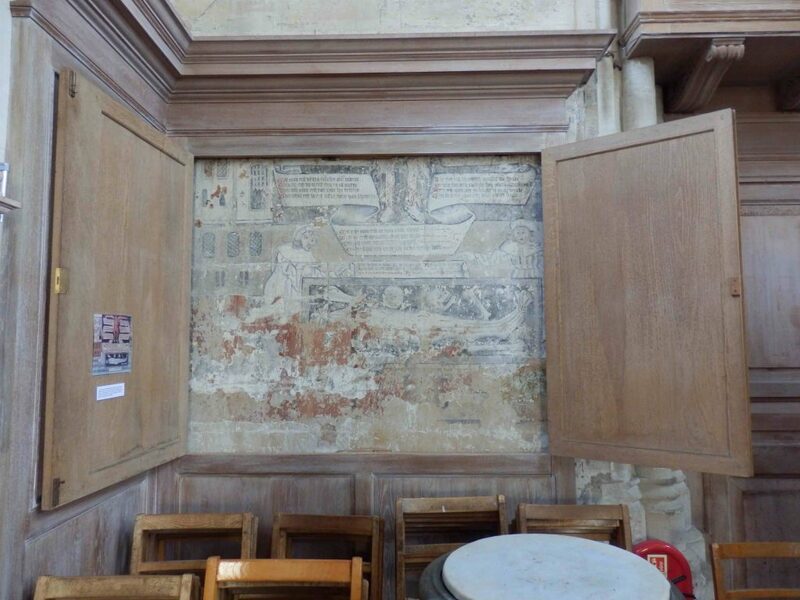 One of its most significant features is the remains of its 15th/ early 16th century wall paintings. 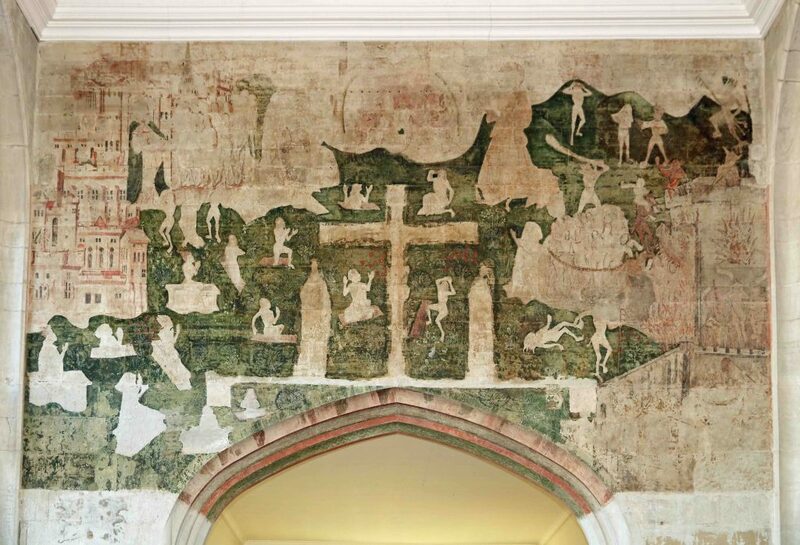 The paintings are a rare and significant survival and research has revealed that the chapel was once adorned with paintings including a Doom, Dance of Death, Erth upon Erth poem, a sequence depicting the Legend of the Holy Cross, the Martyrdom of Thomas Becket, Saint George and the Dragon, the Whore of Babylon, the Life of Adam and a selection of saints. The paintings were originally limewashed and defaced in 1563 during the Reformation under the supervision of Guild member John Shakespeare (William Shakespeare’s father). 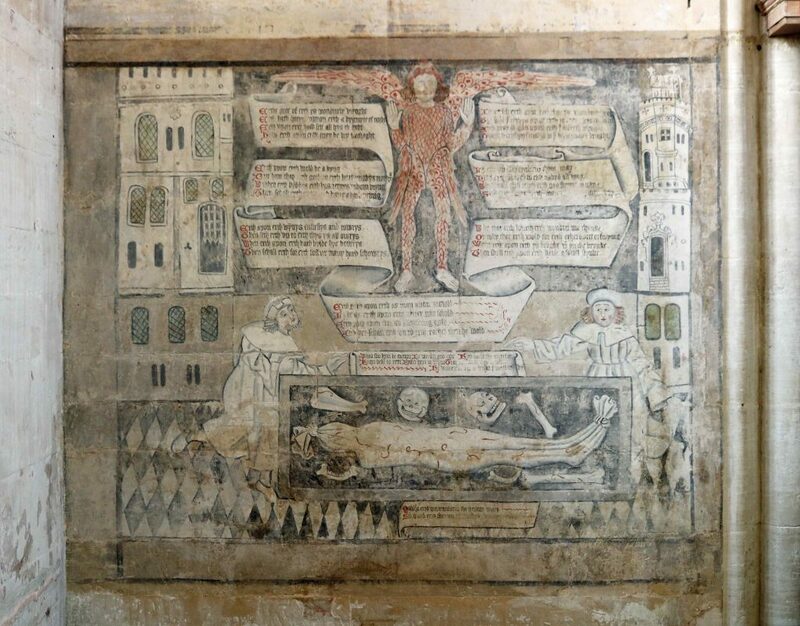 They were subsequently painted over a number of times and remained forgotten until 1804, when the majority of them were uncovered and documented. 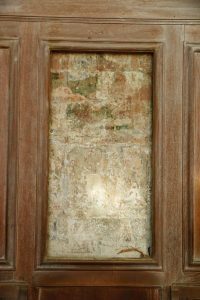 Unfortunately number have been lost entirely through deterioration or deliberate alterations to the Chapel over the centuries. Hawkes Edwards have been the chapel architects for more than 20 years and worked in partnership with the Chapel’s guardian’s (the Stratford Town Trust) to bring this project to fruition; Project Manager Cate Statham conceived the project and wrote a successful application for a £100,000 HLF (Heritage Lottery Fund) grant to undertake a programme of conservation works to the paintings. 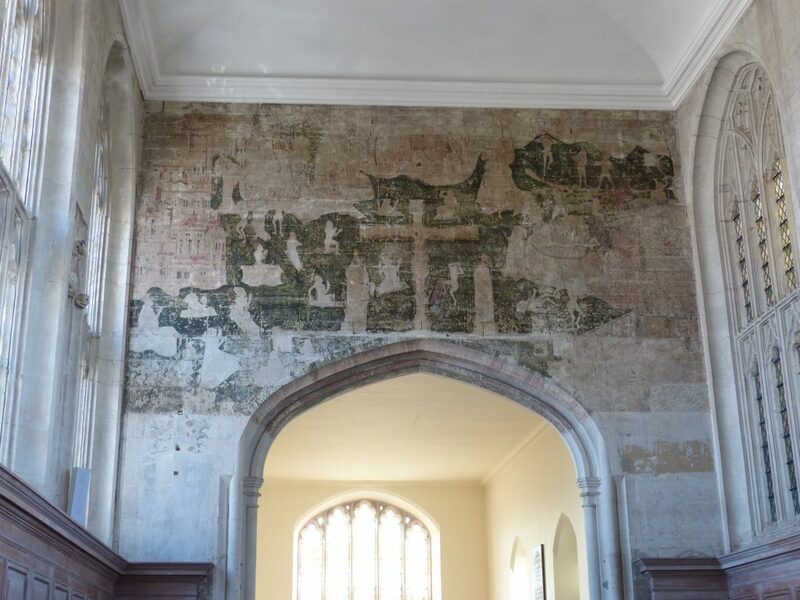 Conservators (Perry Lithgow Partnership) spent months painstakingly removing later layers of (paint) limewash and discoloured wax from the paintings to reveal and then consolidate the flaking medieval paint underneath. That means they can be seen today, clearer and brighter than they have for many centuries. 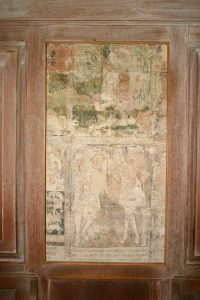 This was carried out alongside a complimentary programme of conservation work and the opening of small sections of wooden panelling running down both sides of the Chapel which allowed us to see fragments of both the Dance of Death and the Lyf of Adam paintings, which have never been properly documented (see below). 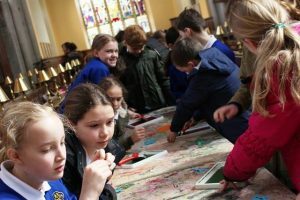 The project also saw the generation of a volunteering body for the Chapel and the augmentation of its events and engagement programme. 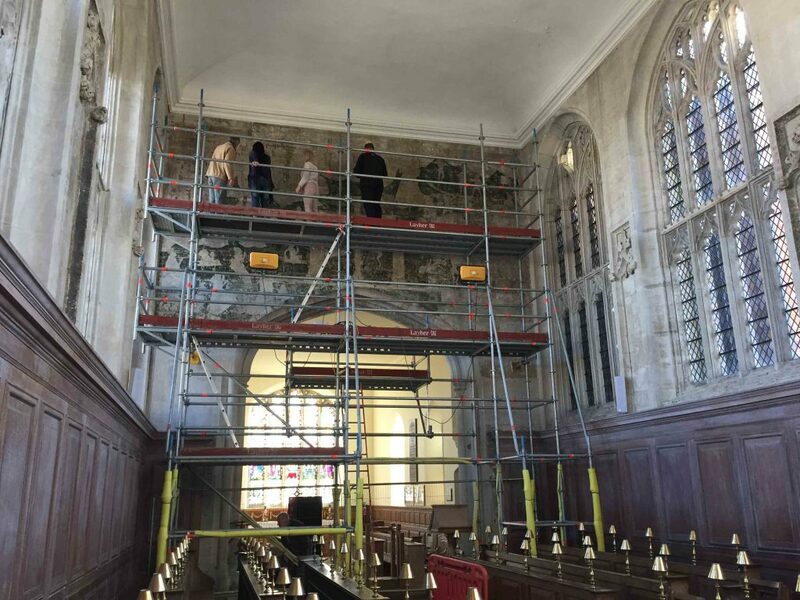 Further works at the Chapel are planned over the coming years, when we hope to be carrying out further investigation and conservation to these fantastic and unusual paintings so they can be shared with visitors.